Texas Chef Jon Bonnell has both a passion for sport fishing and maintaining a market for sustainable wild seafood that is evident in both his aptly named restaurant, Waters – Bonnell’s Coastal Cuisine, in Fort Worth and in his forthcoming cookbook. 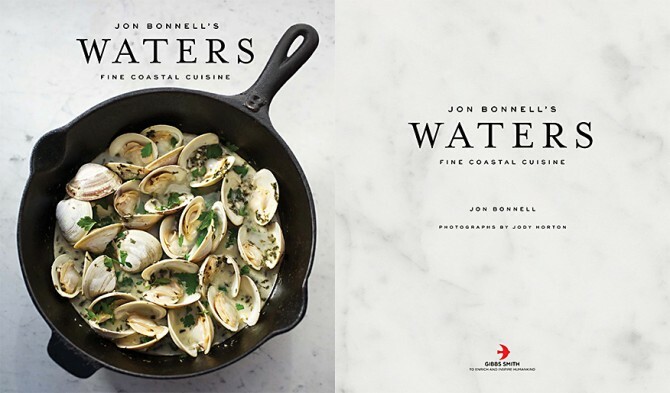 Jon Bonnell’s Waters: Fine Coastal Cuisine is an impressive cookbook filled with gorgeous photography and more than 100 recipes that showcase the ocean’s bounty. Chef Bonnell shows his mastery of the art of cooking seafood. Throughout the book, he skillfully educates you on a variety of seafood preparations which can be daunting or intimidating. Chef Bonnell shares his vast knowledge and experience preparing seafood, demystifying it in a way that makes it just as approachable as buying a cut of meat and cooking it at home. Jon Bonnell’s Waters: Fine Coastal Cuisine pays homage to “what’s fresh” and starts off with a tasty selection of Chilled and Raw recipes such as Ceviche of Grilled Striped Bass and Oysters on the Half Shell with Southwestern Serrano Sauce. Bonnell teaches how to home cure smoked salmon and smoke a trout. From the visually appealing Seared Tilefish with Tarragon Cream Sauce to comfort food favorites like Crawpuppies or Lobster Mac and Cheese, each recipe provides something for the novice to the ambitious cook. 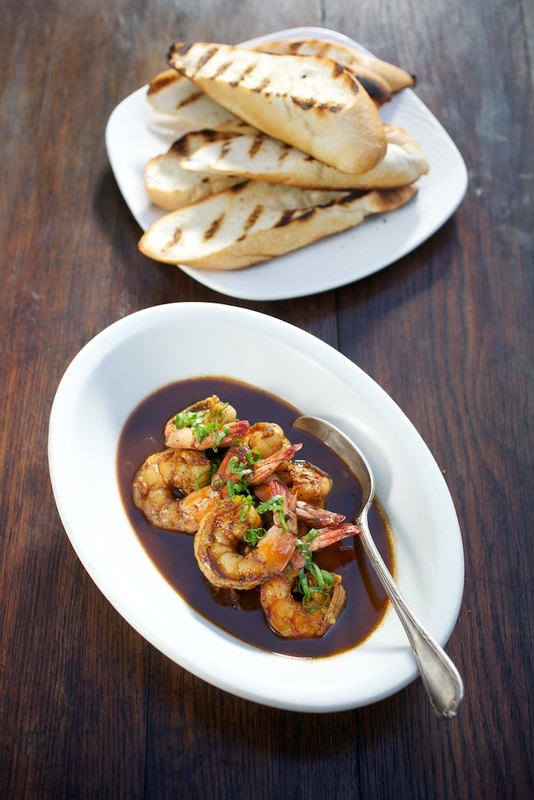 Check out this New Orleans-style Barbecued Shrimp, which is as much about the sauce as it is the shrimp. Plenty of bread is a must, as the dark, peppery butter sauce is likely to be the most memorable part of the dish. Remove shells from shrimp, then rinse and devein, leaving only the tail portion (optional). Cut the butter into 6–8 cubes. In a large nonstick pan, heat the chopped garlic with 1 of the butter cubes just until it begins to bubble, then add all liquids and seasonings. Once the pan comes to a simmer, add the shrimp. Cut the lemon in half and squeeze the juice into the pan, then add in the lemon halves as well. Simmer on medium heat until the shrimp are cooked, roughly 2–3 minutes, turning once. Swirl the pan while adding in the remaining butter and continue swirling until the butter has been emulsified into the sauce; then remove the lemon halves and discard. Transfer the shrimp to a large bowl and pour the sauce over the top. Serve with plenty of bread for sopping.